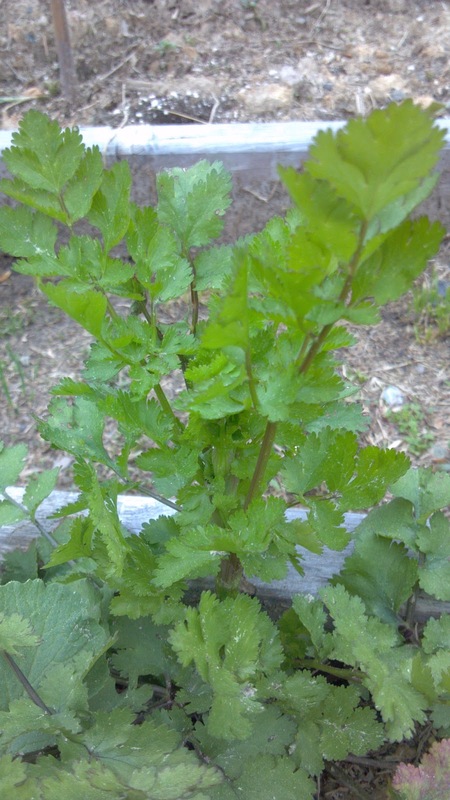 Takes a special touch to grow cilantro. Not a talent, just a touch, so anyone can learn it! The farther you read, the more you will learn! It starts with an understanding of the plant, where it came from and how it grows. Plants will grow better for you if you listen to their stories and then care for them when they are screaming and let them alone if they need time to themselves. carrot family. This tells you that it has a tap root - like a carrot. If I hadn't told you, you could still identify it as a tap root because all the leaves come out of the center like a dandelion. It won't need a huge container or wide spacing, but maybe some depth. 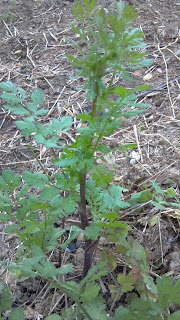 Since it is a carrot, butterflies might lay eggs on it, but they like parsley and fennel batter. 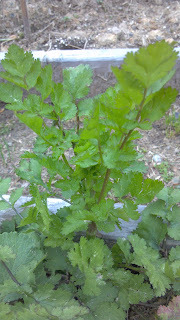 Cilantro is soft and vibrant green. This almost always means it grows quickly and needs medium water and medium light conditions. Don't worry about what it says on the tag unless you live in Michigan. The big tag printers are in Michigan. Michigan is so far North and the summers are so short, everything needs full sun there. I live in the Southeast. It's hot and humid in the summer and we have hurricanes. Everything's a trade-off. Quick, eat it! Starting to bolt! It is an annual. It has one life cycle and dies. That life cycle ends when it reproduces. Thank goodness humans aren't annuals!! 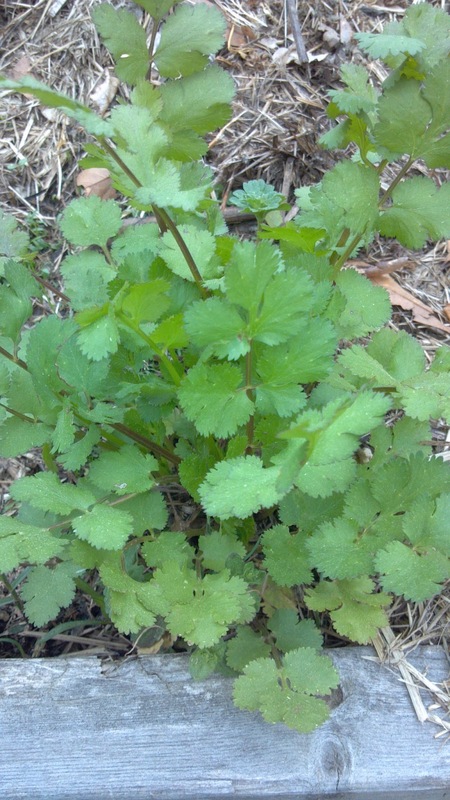 In the South, cilantro is a cold-weather annual. I made that term up but I think it explains a lot. It won't make it through the hot Southern summer. It won't. No, not even in the shade. No, it won't grow in the house. 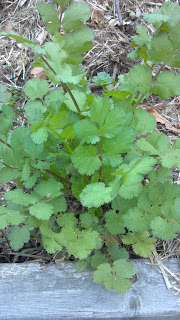 If you want to get enough cilantro to cook with, it will have to be done outside and timing is crucial. One of my customers was a chef. He told me once that when he is in a hurry at the restaurant and he opens the refrigerator, he can tell the cilantro from the flat parsley in an instant because the cilantro bundle has roots. Another clue. Commercial growers don't try to harvest and regrow cilantro. To get a lot of it, they grow it to full size and pull it up. I don't expect you to do that at home and if you did you would find out really quickly that you don't use as much cilantro as you thought! 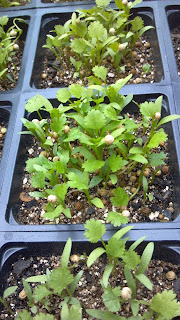 It's just something to keep in mind as you think of your growing conditions, when and where to plant the cilantro. Here's the final test: Are you getting flowers and seeds? Since this plant is an annual, if you are keeping it alive and healthy through it's entire life cycle, it should die after it has made seeds. If you never get as far as the big stalk in the center and the pretty, lacy white flowers, then you need to self-examine. However, all the pictures on this page were taken the same day, so obviously age has something to do with bolting too. If it is too crowded, it will bolt sooner. That won't be an issue if you buy plants or pull them and use them. Heat will make it bolt sooner. Bummer eh? 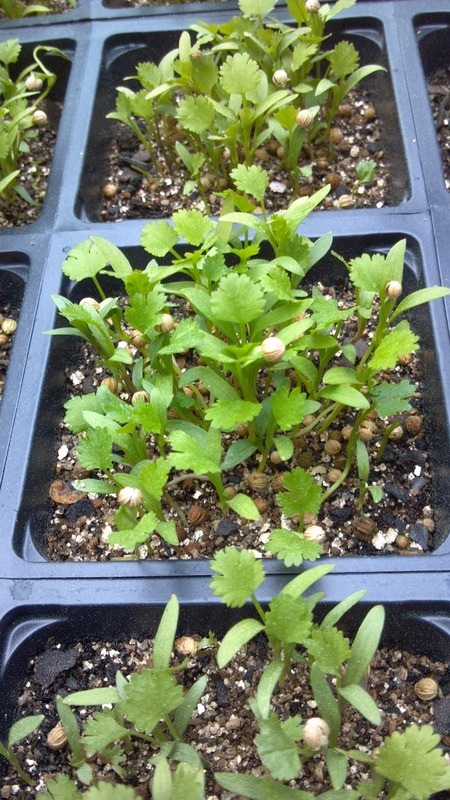 If you plant cilantro in the fall, it will often grow all winter. Cut the outside leaves and use them. Freeze it. Dry it. From about mid-September until Mid-May, it should continue to grow. You can use the leaves even after it has sent up the stalk. The seeds can also be used and are often called corriander. In some areas the two names are interchangeable. The common names of many plants change with geography. I think most of you will see yourselves in this cycle someplace and you will have better luck this time!